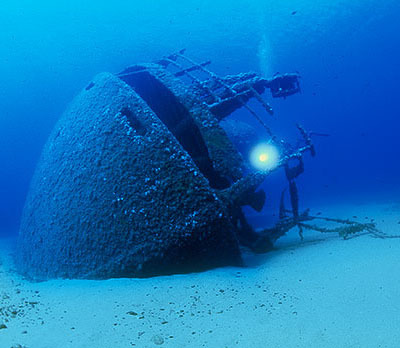 When talking about wreck diving, immediately romantic images of centuries-old pirate vessels buried at the bottom of the Caribbean and hiding unknown treasures spring to mind. But the reality is of course vastly different. In fact, shipwrecks located at the coasts of any tropical country are now outnumbered by those you can find in European waters. Some of the most popular wrecks among divers are those that have been embraced by surrounding ocean life and serve as home to both vegetation and fauna. So why should you try wreck diving? If you’re already a fairly experienced diver who has numerous dives under their belt and your regular explorations of the deep waters are leaving something to be desired, an exciting shipwreck or even a plane that crushed into the sea are probably just what you need to re-ignite your interest in the sport. Many actually regard it as the best type of experience that diving has to offer. 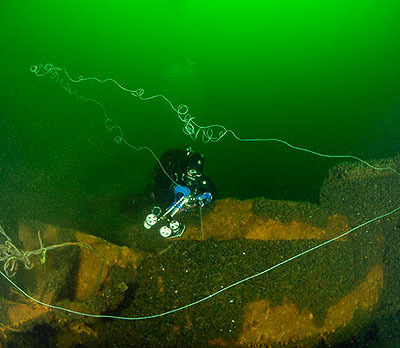 Are you ready for wreck diving? However, you should definitely be aware of the dangers that might come with diving to the wrecks and some common-sense rules that you would be very wise to follow. As is always true with safety measures, good preparation is the key. Don’t be tempted to dive on your own. Always pick a reliable diving operator who’s thoroughly familiar with the area and has good reviews. Most wreck diving requires either an advanced diver’s license or the presence of an instructor. There are very good reasons for such precautions, since penetration and exploring the body of a sunken boat can bring about some unexpected events. Only a well-trained diver will be able to deal with them properly and without hesitation. Bad visibility is one of the main problems that you will encounter while wreck diving, and the conditions can worsen dramatically in a matter of seconds. Although undoubtedly constituting one of the primary risks, the poor visibility often also feeds the diver’s excitement. Especially for those who practice so-called full-penetration wreck diving where the light conditions are practically non-existent. Whether you are ready to start and try your hand at wreck diving or you’re looking for advice regarding specific equipment, Dare To Dive online store is here to help you and provide excellent-quality diving gear for very reasonable prices. Our company is not just another reseller, we are a highly competent producer specializing mainly in wings, complete backplate systems, weighting systems and harnesses. Additionally we offer a wide range of accessories and components, especially look for those needed for wreck penetration – reels, spools & line markers. Feel free to contact us with any questions at info@daretodive.eu and don’t forget that we now ship worldwide. We wish you many life-changing moments while using our merchandise, and always a safe return.